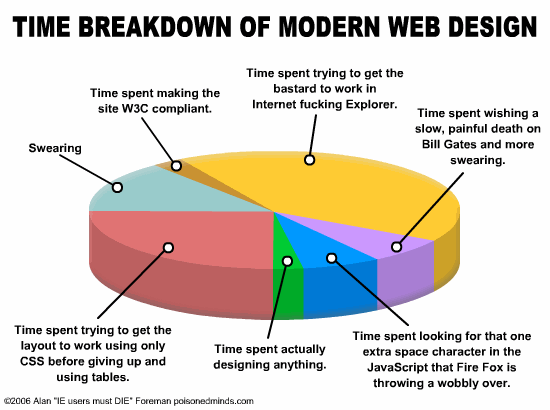 Stumbling articles today evening , I found an interesting picture explaining how time is divided in schedule of a web developer. Very expressive and funny. Enjoy!